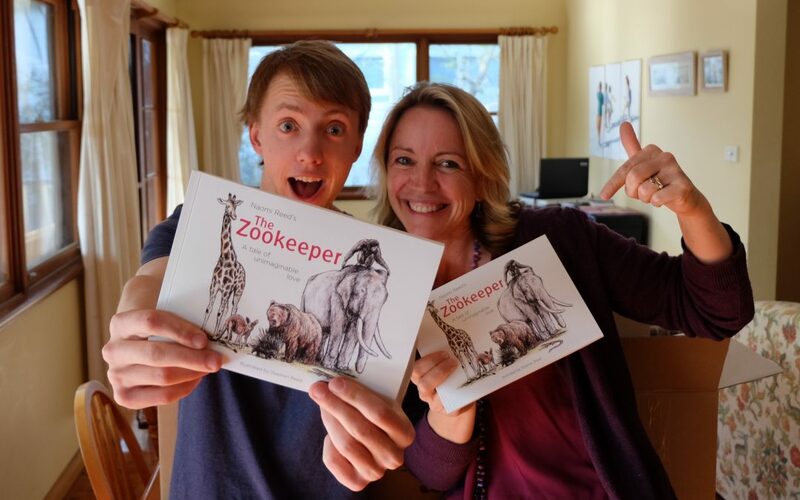 We released ‘The Zookeeper’ children’s chapter book in October! I’m so excited. It feels like it’s been a long time coming. In early 2013, Scripture Union emailed me and asked me whether I’d like to write and perform a Gospel show for children and their families in the north-west of NSW. I said yes, I’d love to… and I wrote ‘The Zookeeper’ as a performance piece, telling the whole Biblical message through allegory. We then formed a team, and the four of us developed the work and performed ‘The Zookeeper’ 22 times at schools and churches, with music, songs, puppets and backdrops. The audience loved it and they kept requesting a take-home version… so I turned the idea into a book. But it took a really long time to get it published! There were so many moments when I prayed about it and wondered why it was taking so long. But during those four years that I worked on it, our eldest son Stephen finished high school and went off to art school and became an illustrator. This year, he created 27 illustrations for ‘The Zookeeper’ – capturing the darkness and the message and the hope in a way I would never have imagined, for the print medium. I find it amazing (especially given that Darren and I can’t even draw stick figures)! I’m so thankful for him and the way God works over time, always knowing what is ahead, and giving us what we need, when we need it, even when I’m at my most impatient! I hope you really enjoy this book. It’s especially designed to read to children from 4-7 years old, and as a read-alone book for 7-11 year olds. You might also notice and enjoy the parallels with the Garden of Eden, the slavery in Egypt, the sending of Moses, the return to the land, the promise of the One to come, the surprise of the answer, and the beautiful ending. As well as that, I’m in the middle of producing a ten-part Zookeeper lesson plan, with craft and activities and Bible references, to be used in schools in the New Year. I’ll let you know when that appears. 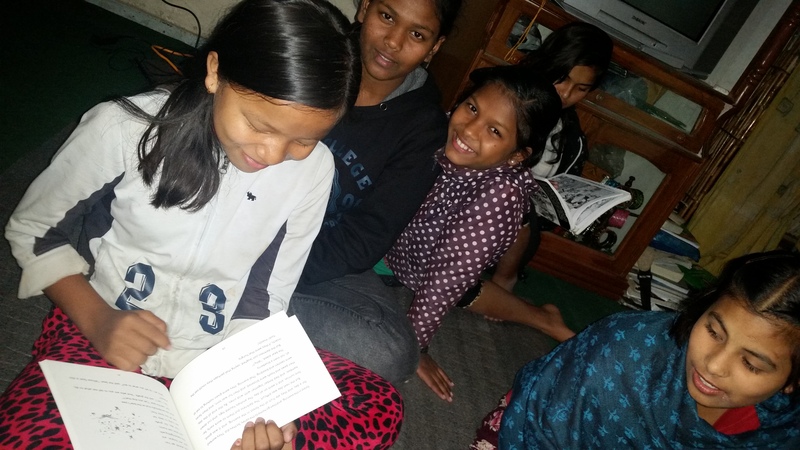 AND I took copies of ‘The Zookeeper’ with me back to Nepal recently and it was so amazing watching the children read it out loud to each other in English and really understand it. They even explained it to each other in Nepali. And then they told everyone that the illustrator (Stephen) was born in Nepal (which is true!)! 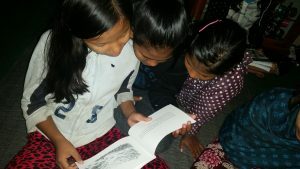 Of course, in Nepal, there are very few Christian children’s books available in either English or Nepali, so we’re actually in the process of translating The Zookeeper into Nepali, which we hope will be another opportunity to share the Gospel message in a culturally appropriate way. If you would like to pray for our translator, Sima, as she finds the right words and phrases, that would be really appreciated. Or if you would like to contribute financially to the printing of the Nepali version, please let me know! With thanks again for your ongoing support and encouragement!